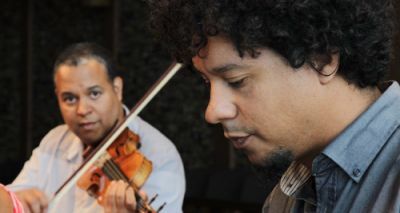 Meet Ilmar and Aldo López-Gavilán, virtuoso brothers born in Havana, but long separated by geopolitics. Ilmar makes his way as a violinist in NY. Aldo is famous as a jazz and classical pianist in Cuba. Both find opportunities and challenges in their chosen countries. The Center For Independent Documentary is a 501(c)(3) nonprofit organization. Donations are tax-deductible to the extent allowed by law. Tax ID #: 04-2738458.